The holy scripture of Hindus, Manusmriti classifies weddings in Hindu religions into 8 types. Out of these 8 types of marriages, there are only few that command social approval. The other forms of marriages are forbidden. The marriage types like Brahma Marriage, Arsha marriage, Daiva Marriag and Prajapatya Marriage are considered to be good while other types like Asura Marriage, Gandharva Marriage, Paishcha Marriage and Rakshacha Marriages are avoidable. According to Manusmriti there are 8 types of Hindu Marriages. They are Brahma Marriage, Arsha marriage, Daiva Marriage, Prajapatya Marriage, Asura Marriage, Gandharva Marriage, Paishcha Marriage and Rakshacha Marriage. Out of these 8 types of Hindu Marriages only the first 4 were religiously sanctioned. In the Brahma Marriage the father of the bride gave her hand to a man who has completed brahmacharya (25 years of bachelorhood), well versed with the Vedas and has a good conduct. There was no system of dowry in this type of marriage. Kanyadaan was an important ritual of this marriage. 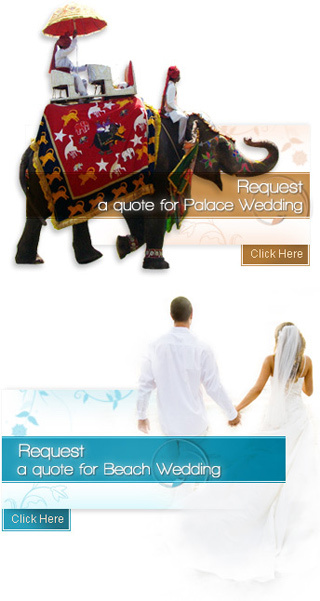 The second type of Hindu Marriage is the Daiva Marriage. In this type of marriage the girl, after a fruitless wait for a suitable groom, is married off to a priest at a place of sacrifice. In the Arsha Marriage a girl was married off to an old sage because her family could not afford to get her married according to the brahma marriage. The brides side would take 2 cows from the sage in return of their daughter. In Prajapatya Marriage the brides father would go in search of a suitable groom for his daughter. However, there was no system of kanyadaan or dowry in this type of marriage. In Arsha Marriage the groom was not considered to be fit to marry the bride but did in so in exchange of cows. The last four types of Hindu Marriages were condemned by the society. Gandharva Marriage was like Love Marriage of present times. The bride and the groom got married secretly without the knowledge of their respective families. In the Asura type of Hindu Marriage the groom was not supposed to be a good match for the bride but he married her because he could give away a lot of wealth in exchange of the bride. In Rakshasa Marriage the groom fought a battle with the brides family and forced the bride to marry him. Paishacha Marriage was the one in which the marriage was against the wish of the bride and her family and the bride was usually seduced before her marriage.